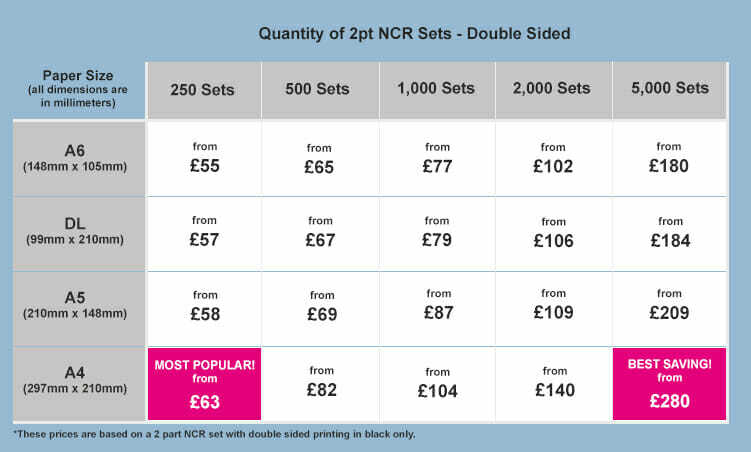 Duplicate NCR Sets (2 part NCR sets) - Double sided, exactly how you want them and at an exceptional price! 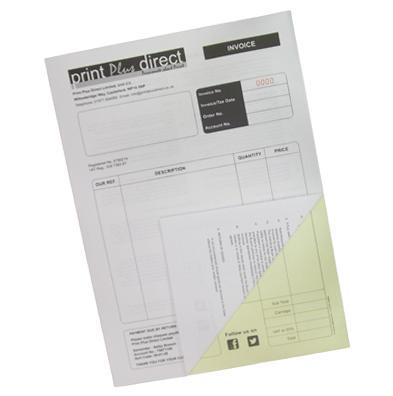 Our 2pt NCR sets are practical for any business. Customise with your company branding and key information, which gives them a professional look. Each order we produce is manufactured to your requirements which makes it unique to you. The great thing about these NCR sets is that we use carbonless paper. This means you can make duplicate copies of your form with just one stroke of the pen. You don’t have to repeatedly duplicate your work saving you time and money! A 2 part NCR set consists of a white top sheet and a yellow bottom sheet that are glued together at one edge to form an individual set. This makes them ideal if you have numerous users. Click here if you prefer a 2pt NCR pad or a 2pt NCR book. Simply fill in the form below to place your customised order today or call our sales team and we can place the order for you! Available as books, pads or individual sets. Various sizes to fit your requirements. Two, three or four parts available. NCR sets can be printed single or double sided. 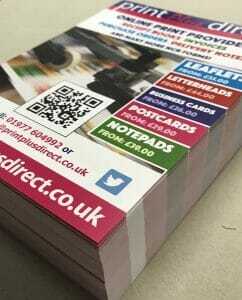 Whichever option you decide to go for Print Plus Direct will email you a PDF proof of your artwork prior to print. It is therefore your responsibility to check all details are correct, we cannot be held responsible for any errors or omissions once approved. Our standard print colour is black but for a small additional charge you could choose from one of these colour options. Do you require sequential numbering? Do you need to keep track of your jobs? Having the forms pre-numbered with your chosen start number will help keep everything in order and easier to find! All numbering is in red ink. Would you like your items hole punched? We have acquired a new digital printer which is due to arrive in the next few days so watch this space for some amazing deals on full colour leaflets coming soon! Print Plus Direct's website has arrived… It’s been 6 months in the making and the guy’s at Red Guerrilla Web Design have done an amazing job. Our informative videos will help you choose the right product for you. We’ve also put together some templates for you to put your own stamp on then upload using our simple ordering system. Here at Print Plus Direct we have a wealth of experience so if you are unsure of exactly what it is you are looking for just contact us and we will be happy to advise you. For a limited time only, to celebrate our launch we are offering you a 10% discount on your first order - Apply coupon code: PPDLAUNCH at checkout to receive your 10% discount. Apologies, this code has now expired, see our Facebook page for up to date offers and promotional codes.